I am a new flier. 1) I do not like the stock handles that came with my rev 1.5B. I want to upgrade to the snagless handles, but there are solid aluminum, anodized aluminum, featherweight stainless... What are the differences? What should I get? 2) I have SkyBond Premium Spectra lines, and they bind up a lot once you hit 4-5 twists. Is this normal? I was thinking of getting Laser Pro Gold to have as primary line with the Skybond as back-up. I know both lines have been recommended on the forum. Does the LPG fly better with less binding? I did a similar thing to all my handles as the video shows and they work really well. I used a blue "8mm star plug" that's available in Australia and they are a perfect fit tap fit inside the stainless tube. Fit them backwards and leave them a little proud above the stainless tube and the rounded edge protects the leaders. I also bough a 13" pair of alloy anodised "snagless handles" (thinking they would be much lighter for when I travel by plane) and they were only 10grams less in weight than my modified standard rev ones, due to them being made from solid aluminium round bar. I also found these to wear at the point they exit the handle with a lot of use. Where as the modded standard rev handles don't as the cap supports/protects the leaders.. Carbon ones are really light, but I just don't click with them. Too light for my taste. 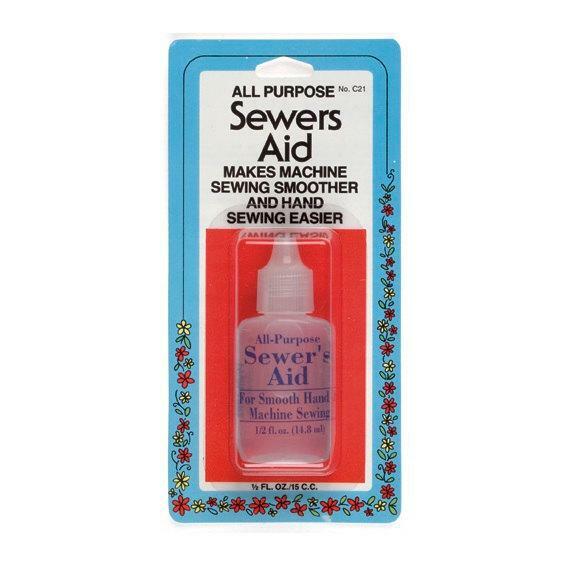 A few drops of "Sewers aid" sewing lubricant run over your lines with a small bit of rag does the job and doesn't collect sand when dry. I still use my original set of lines when flying from dirty, gritty surfaces. They are trashed and very fuzzy but the oil stops them squeaking with lots of wraps. It's just pure silicon oil. (Kevin Sanders "Kaos" put me onto silicon oil and I bought a 1 litre bottle for Aus $34.00.) I use a lot of silicon oil for sewing windsurfing sails. It keeps the needle cool and the adhesive off the double sided tape doesn't collect on the needle. hi and welcome to the dark side. handles are a personal option selected by testing, fly stile and "feeling"(i like 15" for all Rev's). if is aluminium on front of stainless is just 4-5 grams difference. finish color is also a taste option. Skybond are the best and i prefer them on front of Laser and any others. i go 8-10 twists easy,i am surprise to here at 5 already are binding and is not normal. it may happen if they are dirty but for me never happened. Leaders- my BFF bought me 2 sets of leaders as a welcome to the dark side gift. I will unwind my lines and wash them. That could be the problem. I fly at the beach, and our sand is sticky. Any suggestions on what to use to wash the lines and sails? As for the mod, that looks like something even I can do!!!! Thanks for that repost. "few drops of "Sewers aid" sewing lubricant run over your lines with a small bit of rag does the job and doesn't collect sand when dry." I will try this lube. I fly at the beach, and our sand is very sticky. Any suggestions on how and what products to use to wash the lines and sails? I will wash before putting the lube on my lines. fresh water is just fine for lines and sails. any lube may create a layer of grease what in time may collect more then you expect. She got the leaders from TK. Would silicon lube build up too much like a petro product would? My first step will be to wash the lines. I will go from there. I am sure they have a build up of sticky salt from the beach. I know my skin is sticky after flying on the beach even when I don't use sunscreen. Salt and sand are the worst enemies of sails or lines. Get in the habit of doing these things to get the longest life out of your gear. 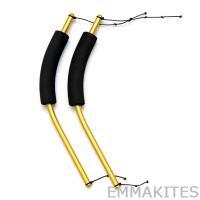 1 - Rinse your kite with fresh water at very gentle pressures. Knocks all the sand off, cleans all the salt out. Bridles too. Both will eventually eat your stuff, but you can delay that with good cleaning habits. Got a Rev 1 from about 1998 in my bag in great condition. 2 - Rinse your lines regularly. No need to unwind, it does help to wind loosely though. Just put winder and lines in a tub big enough to hold them. Maybe add a few drops of detergent to the water. Place on a towel to dry after the soak. You'll be surprised to see how much sand comes out of them. And the soaking dissolves the salt crystals and prevents build up. Lines do wear out eventually. As a team flier, I go though almost 2 sets every year. Crossing lines is very wearing. 3 - Swap your lines end to end. If you have always used your lines in one direction, try turning them around. The wear spot from crossing will happen in a different place. 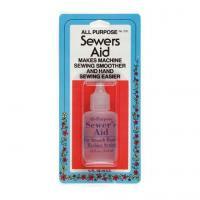 Never tried the Sewer's Aid myself, sorry. You can remove the rings on the handles and make your own snag-less ones. Use an 8-10 wallboard anchor and screw to replace them. Works really well and is a cheap alternative to buying new handles. That video walks you through the job, should take around a hour to do a set, less if you're handy with tools. Holds up for a very long time. Thanks, Wayne. Very good advice. I will try the tub soaking first on the lines since it is quick and easy. I am also going to try the anchors on the handles. It looks fairly simple. How often would you swap the lines end to end? Some do it every time they fly! Some do it every couple times. I do it whenever I think things feel worn to me. 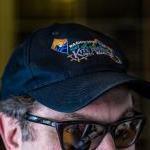 Once both sides are worn, they are only good for solo flying. They will lock up in team stuff! If you follow the video on making snag-less handles --- BEWARE, there is a nasty burr/flake where the holes for the rings were drilled. IT WILL LAY YOU OPEN if not treated carefully!! I speak from personal experience here!!! BE CAREFUL!! And deburr when reassembling!! Take care not to ruin the vinyl caps unless you have more at hand, you reuse them!! Reckon they are punched not drilled when manufactured they are so internally jagged. Cut the hog clips and discard. Warm the caps in hot water and you can stretch them easily to get the leaders through one hole when reassembling them. BEWARE, there is a nasty burr/flake where the holes for the rings were drilled. IT WILL LAY YOU OPEN if not treated carefully!! As I was working on one handle, I was thinking "these burrs are barely noticeable." They needed very little grinding. THEN I got to the second handle. HOLY COW, you were not kidding! 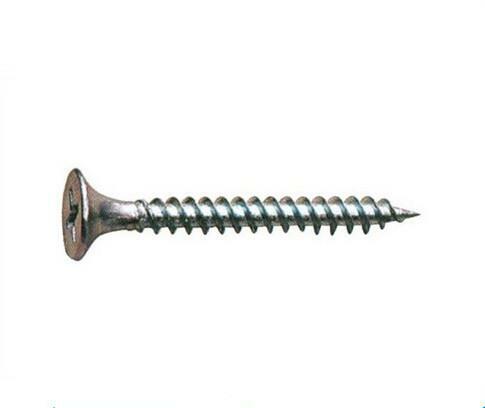 Someone mentioned a different screw to use rather than the one that comes with the anchors because the threads will start to fray your leaders. Since I wanted to stay away from sharp objects on power tools, I decided not to grind down some of the threads as suggested in another post. However, an internet search for the screw mentioned, a shoulder screw, revealed a kind of thumb screw that I don't think will work. Even if it is correct, I cannot find the right size. SO, can anyone tell me the name of the screw to use and maybe attach a picture?? Flipping my lines end to end helped dramatically!!! I had a lot more wear on them than I thought. I will also now rinse my equipment regularly. 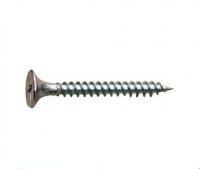 I used a Plain Bugle head drywall screw from my local hardware store. The rounded head works a treat. THANKS! I was thinking about trying a wood screw that looks very similar with that little section without threads. 7G or 8G by 25 to 35mm is a good bugle screw to use. 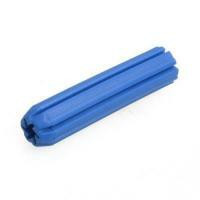 I use the 8G with a blue plug. There would be no sharp objects, using a cordless drill and a file. Chuck the tip of the screw in the drill and use the file to knock down the threads under the head. Look for any type of "panhead" screw that has that unthreaded area. Same size as what came with the kit. Depends on where you are on what measuring system you are using. Then you need a good set of longer leaders like JB's, not those factory ones. 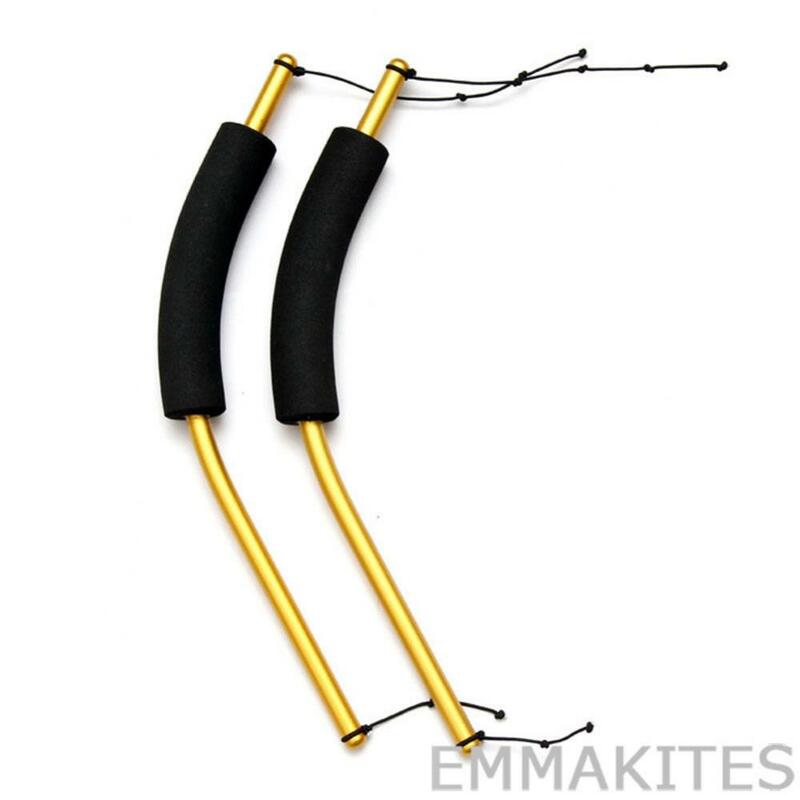 I like that it creates a more direct connection with your kite, taking out those movable rings, and attaching direct to your handle. To me it is just one less moving part to deal with. Really only need to do the bottoms if you are pressed. Just did 4 sets of handles using this method. Only took me about 90 mins. Going back to the OP's question about snagless handles, I recently bought some Asian gold anodized handles and for the most part I really like them. The size, feel, and look are fine. The problem I have is with the leaders - they are too short. I tried to remove them and attach a pair of TK's leaders but could not fit them thru the hole in the handles. Was wondering if anyone else has run into the same problem? I'm going to take them back home and ream out the hole with the drill press. That should make them work but it would be nice to find a set of handles that works out of the box. It seems Walt is no longer making the Rev snagless handles - I can't even find them for sale anymore. Given that, what are people buying when they don't want to use the drywall trick with their original handles? With regards to putting a set of TK leaders to your snag less, you could put a small loop of high test kite line through and larks the leaders to that. Also provides a sacrificial point to wear out on the metal rather than the leaders. I have two sets of those (under the Freilein Brand). I also really like them. A simple solution to your dilemma is to use a loop of Dental floss to pull the loops of the TK Leaders through the holes.. If you do decide to drill to enlarge the holes, make sure you smooth, round and polish a bit or the newly cut edges will slice through the leaders.